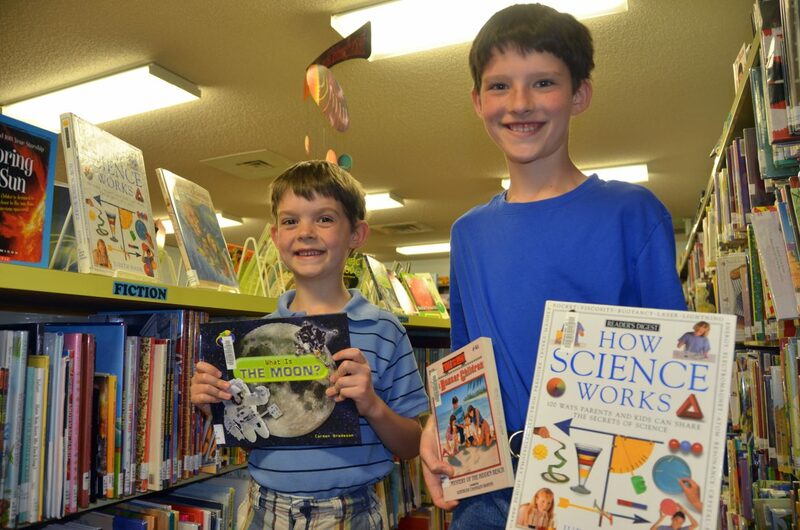 Brothers Brian, 6, left, and Blake Brighton, 9, hold up a few of the books they plan to check out and read as part of the Moffat County Libraries summer reading program at the Craig branch. The event is available for most of the summer for all ages in Craig, Maybell and Dinosaur and includes weekly activities in Craig. The summer reading program is available through Aug. 9 at the Craig, Maybell and Dinosaur branches of the Moffat County Libraries. All ages are able to participate in the free summer event, which includes multiple prizes. Craig’s library also offers story-times at 10 and 11 a.m. Thursdays, the educational Youth Club meetings for ages 8 and older at 3 p.m. Wednesdays as well as “Boredom Buster” activity kits each week. For more information about the program at each branch, call Craig, 570 Green St., at 970-824-5116; Maybell, 202 Collom St., at 970-272-9919; or Dinosaur, 400 W. School St., at 970-374-2700. Craig — The excuse that “there’s nothing to do” simply isn’t acceptable in Northwest Colorado households this summer. The Moffat County Libraries summer reading program is up and running, available to patrons of the Craig, Maybell and Dinosaur branches. The free event is offered to all ages through Aug. 9. Sally Beauchamp, coordinator for the children’s section of the Craig branch of the libraries, said she received an early rush of kids and adults signing up Tuesday morning as eager readers were ready to shake off the Memorial Day buffer between the end of school and the start of summer. Among those getting registered were sisters Hannah and Brooke Germond, prepared to tackle a plentiful amount of subjects. The siblings, 12 and 9, respectively, have a great appreciation for reading American history and other topics. “I like science a lot,” Brooke told Beauchamp while signing up for the program, which the librarian said will be perfect for her. This year’s program features a science theme, with different age levels. “Literary Elements,” targeted at teenagers and adults, provides an entry into a drawing for each book the participant finishes. 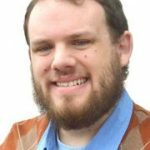 Those who expect to just drop by the library periodically to return books and grab a few new ones will want to be aware of the sheer number of activities this summer. Story-times for younger children will be hosted at 10 and 11 a.m. Thursdays in Craig and at 2 p.m. Mondays in Dinosaur. Maybell’s branch will feature reading festivals in June and July. Additionally, in Craig, Youth Club will be available to kids ages 8 and older at 3 p.m. Wednesdays. The educational presentations will focus on science, nature, art and other kinds of information with a slant that will make it fun for kids. Parent Rachel Brighton said her sons, Brian, 6, and Blake, 9, enjoy the incentives of the summer reading program, but just getting their hands on some books is motivation enough. “It’s a great supplement to what we already do at home,” she said.